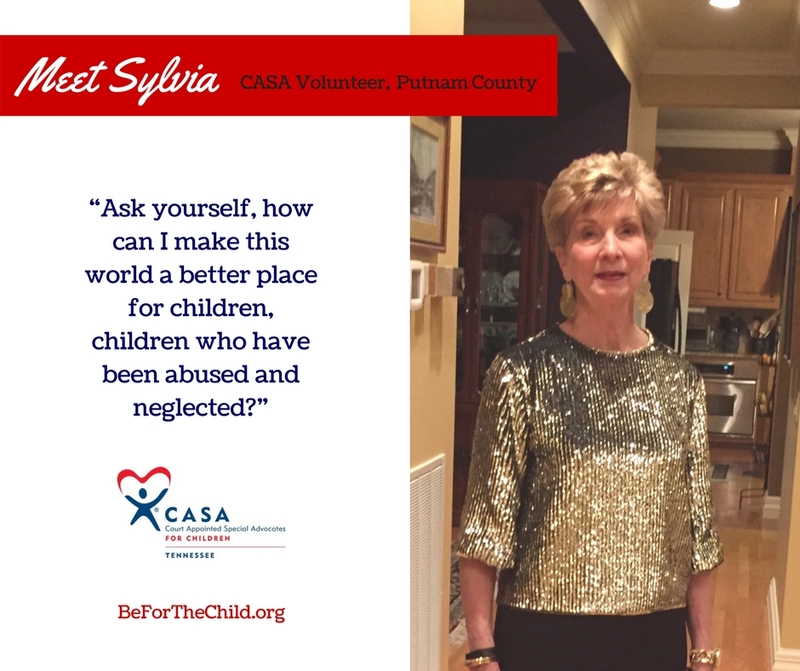 Tennessee currently has 20,000 vulnerable children waiting for CASA volunteers (Court Appointed Special Advocates) to support them in their search for a safe, loving and permanent home. All it takes to make an impact is a little time and a lot of heart. All it takes is being a CASA. Meet Ann Marie, Nancy, Karen, Sylvia, Callie, Sherail, and Chris. Volunteers across the state of Tennessee, telling the story about how helping children has enriched their own lives. Their story could be your story. Click on each to learn why they volunteer. Would you like to be for the child as well? You Can Be For The Child. CASA Provides The Tools You Need. 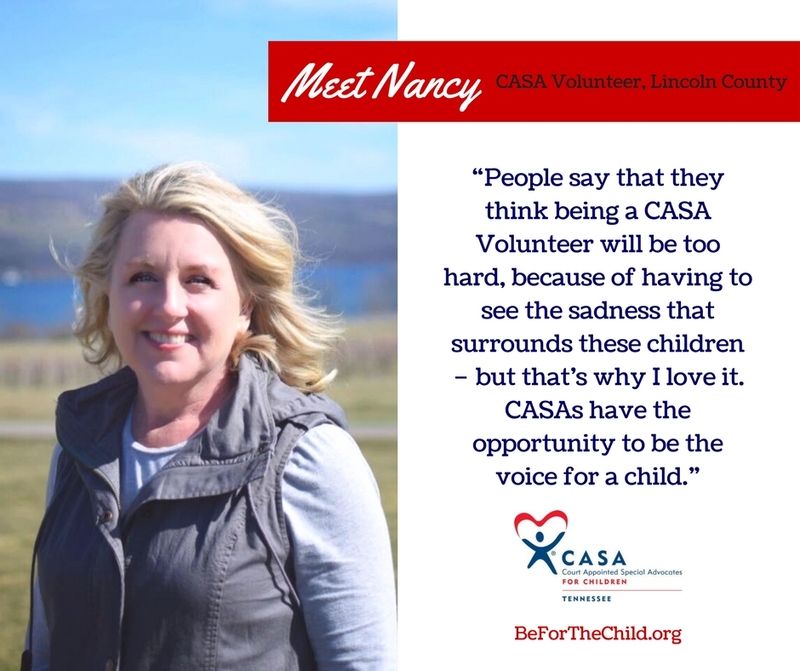 Tennessee CASA provides a large network of support, training and resources to ensure you are well equipped to make a positive and lasting impact in the life of a child. No prior experience is expected or necessary to become a volunteer. All of the tools one needs to be a successful advocate will be given to them through the CASA volunteer training program. 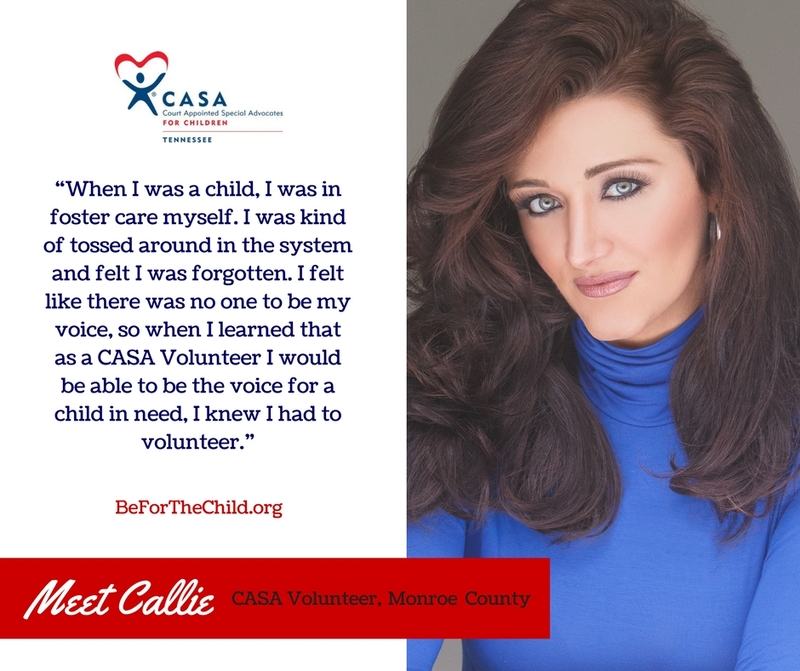 Becoming a CASA advocate means entering into a community of knowledgeable and empowered volunteers who will support and encourage you at all times. CASA volunteering is different. Every CASA case will be challenging, but you will be able to accomplish more than you ever thought possible in changing the course of a child’s life. 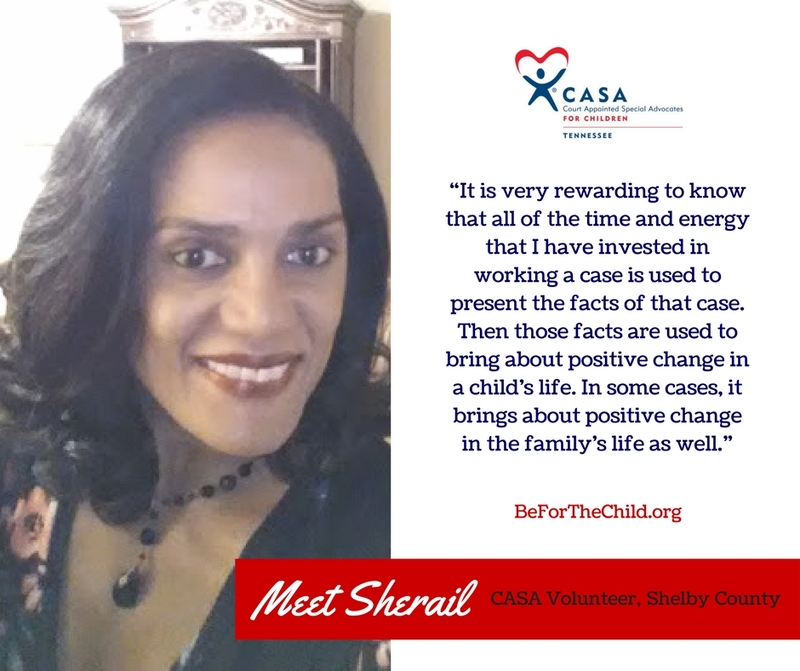 No other volunteer experience is as potentially life-changing for you and a child, than being a CASA volunteer. 31 programs in 54 counties. We need you to help us grow. Across the state, over 1,400 CASA Volunteers served over 5,300 children in Tennessee. that means 15,000 are still in need. We can do more... with your help. Each CASA program professionally trains and carefully screens volunteers to become Court Appointed Special Advocates for abused and neglected children in juvenile court. These volunteers represent the best interests of the victimized child with the goal of securing a safe, permanent home. Find your CASA program by clicking here. 20,000 Tennessee children are in need every year. You can make a difference. 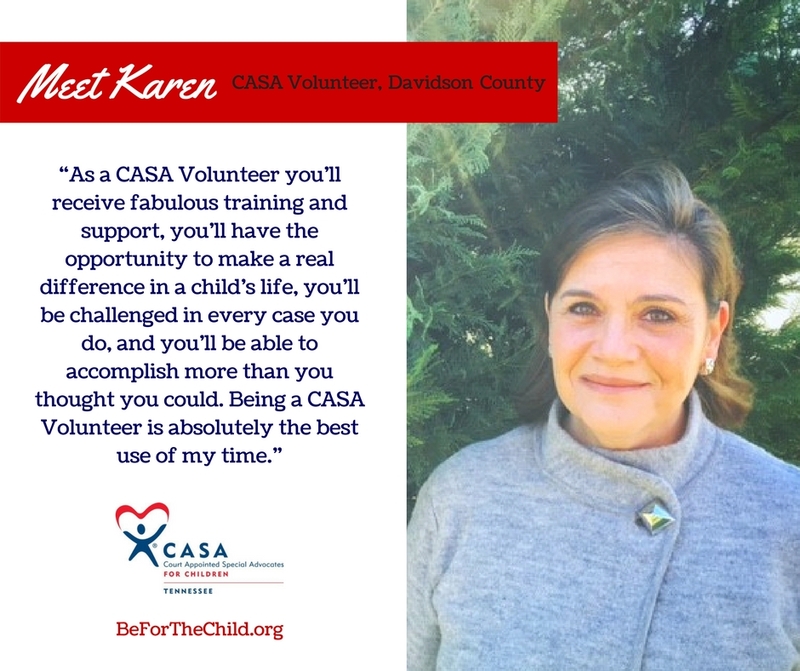 You can be a CASA Volunteer.